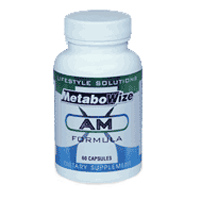 MetaboWize AM is a proprietary morning and/or mid afternoon metabolic, thyroid and mood support formula. The MetaboWize AM Formula is best taken as 1-2 capsules first thing in the morning on an empty stomach (with X2O water)-preferably before exercise-and 1 capsule again in the early afternoon, if needed. 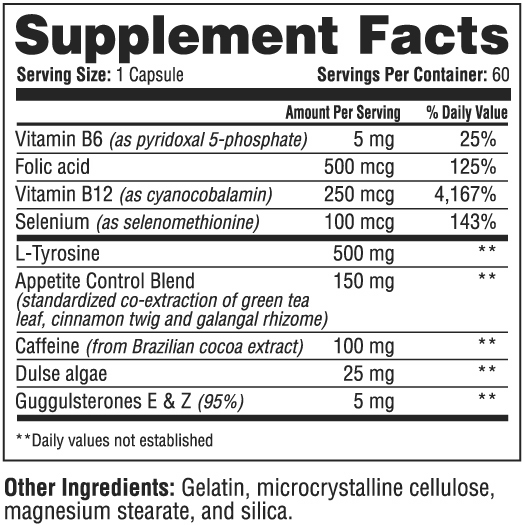 MetaboWize AM is designed to be consumed as part of the total MetaboWize program. The MetaboWize AM Formula is an exclusive formulation of only the highest quality nutrients in synergistic ratios that help stimulate metabolism throughout the morning and early afternoon. By working to elevate the brain chemical norepinephrine and by optimizing the body's methylation process, the body is encouraged to burn more body fat and create more energy. This also supports a positive biochemistry conducive to good moods. 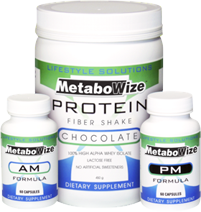 Finally, MetaboWize AM Formula works to naturally suppress the appetite and craving response in order to make it easier to follow a healthy eating program.